Pink is the color of the first items in your life. You probably grew up wearing Pink and loving Pink. Now that you’re already a lady golfer, continue to embrace Pink as the timeless color that will forever be a significant color in your life. 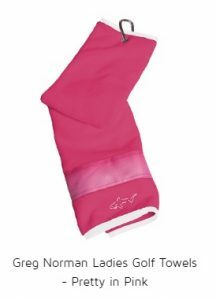 It never gets out of style, just like these Greg Norman Pretty in Pink golf apparel and golf accessories collection; hence, you will always be pretty in Pink no matter what. When it comes to golf accessories, it is not enough that it just looks good. Functionality and quality matters, a lot! 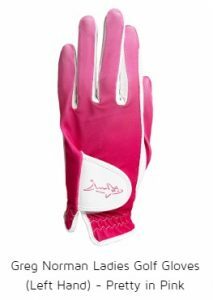 It is best to invest in this quality set of Greg Norman Pretty in Pink golf accessories so that you can use it longer, offers value for your money and always in style. 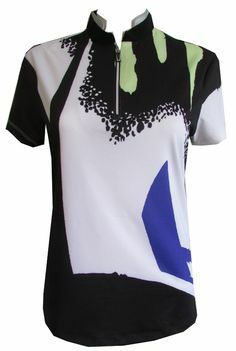 Let’s start with the golf items that give you that lady Shark look – pretty and fierce. 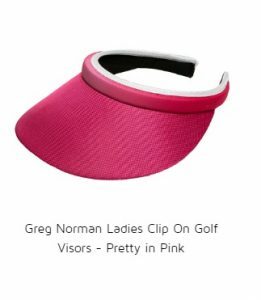 Wear this Greg Normal Ladies Clip On Golf Visor so that your face will have maximum sun protection because of its wide brim and UV50. 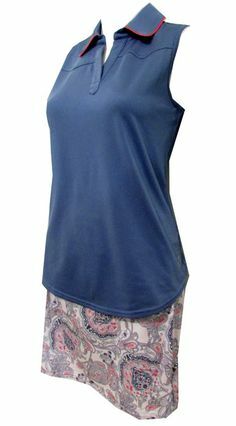 It also has a moisture wicking terry headband provides comfort and is made of 100% polyester. Pair this with a Greg Norman Ladies Golf Glove for your left hand. Available from sizes Small to XL, this golf glove has stretch lycra, cabretta leather palm and UV 50 sun protection. 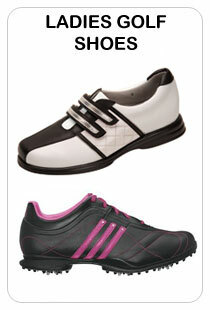 Make sure you have a nice pro golfer pose when wearing these two. And now to the ever-trusted golf bags. 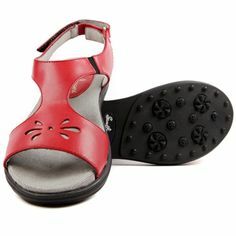 You don’t only groom yourself but your beloved golf items as well. Your things are a reflection of your personality. Pretty stuff = Greg Norman Pretty in Pink = pretty you! Here’s a Greg Norman Ladies 14-way Golf Cart bags. 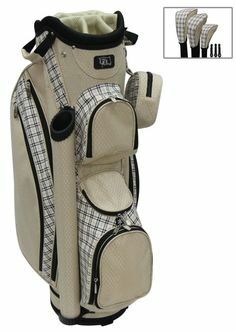 Fill this up with your golf items like a soldier ready to go to battle. 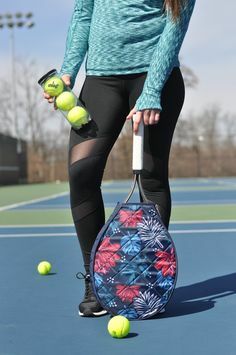 It has full length dividers, multiple pockets like zip off ball pocket with logo capability, thermal lined cooler pockets and seven easy access pockets. It also easy life handle system, rainhood cover, putter well, umbrella sleeve. 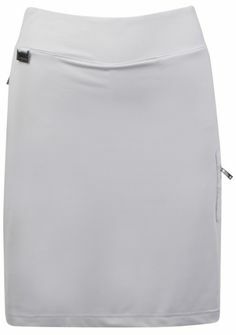 You can even clip this 16” x 5” Greg Norman Ladies Golf Towel for easy access. 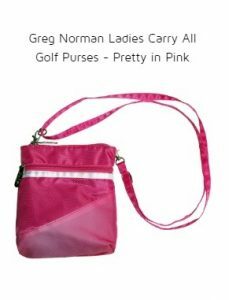 Or tag along this Greg Norman Ladies Carry All Golf Purse which easily clips into your Greg Norman Ladies 14-way Golf Cart bag. 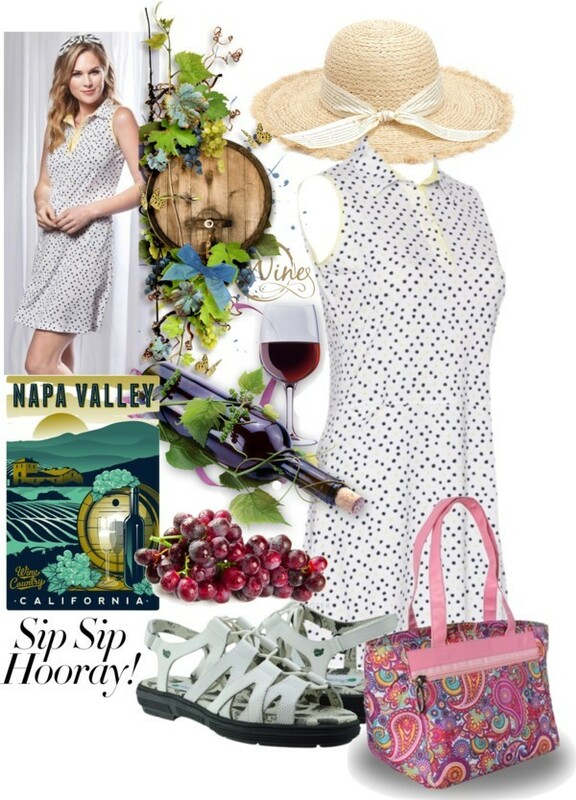 Or you can convert it to a crossbody bag. 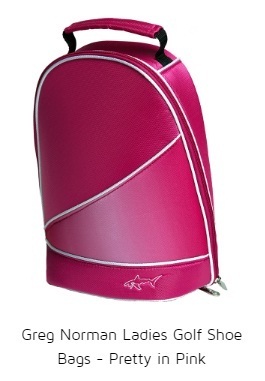 It has a 50” adjustable and detachable strap, two front zippers and an inside pocket. 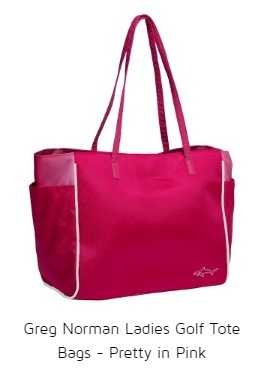 You can also grab this Greg Norman Ladies Golf Tote Bags – Pretty in Pink. It is as pretty as your fave VS tote but this one has 2 outside side pockets, PU handle, piping and bottom inside zipper pocket and dimensions of 13” x 11.75” x 6.6”. 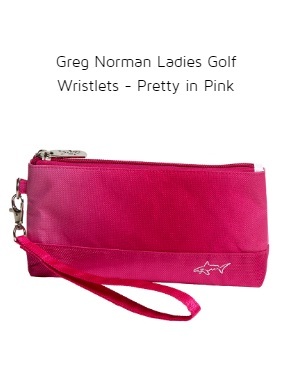 For everything small and personal, here’s your handy-dandy Greg Norman Ladies Golf Wristlet. 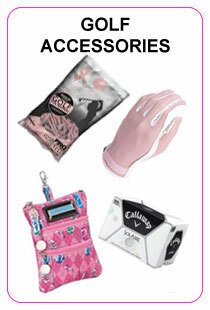 This 8” x 4 golf wristlet has a removable strap and perfect for carrying essentials like cash, keys, cards and more. 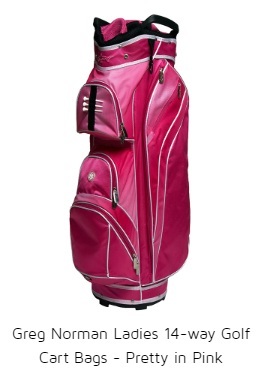 Those hardworking golf shoes/sandals deserve a majestic place to rest like this Greg Norman Ladies Golf shoe bag. 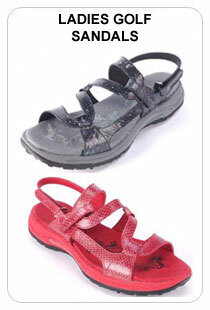 It is made of 100% nylon with top padded carry handle, dual zipper design and dimension of 8.5” x 3” x 15”. But wait, there’s more! 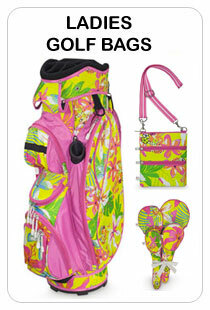 When I say more, it means more appealing Greg Norman Pretty in Pink golf items to look forward to! By Spring 2017, you can use these golf accessories with the golf apparel collection. 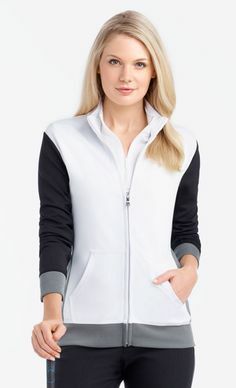 These will be lots of golf shirts (sleeveless, short sleeves and long sleeves) and golf bottoms (golf skorts, shorts, Capri and pants) in solid and printed designs in Pink and White! 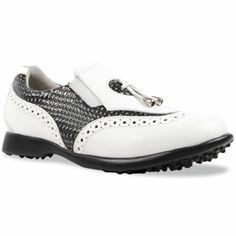 For the mean time, catch the available Greg Norman collections here. Or drop by Lori’s Golf Shoppe in Calabash, NC. 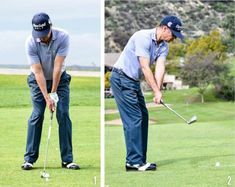 This entry was posted in golf accessories, Greg Norman on January 2, 2017 by admin.